Fans will remember the scene well. A victorious heavyweight standing centre ring with arms raised high, very high, almost smiling as he received the approval of the crowd. The arms would remain high for a few seconds longer than expected, fall to his side, and then quickly rise again in parallel, seemingly higher and straighter than previous. Count Bartelli appeared to be a man who not only enjoyed the adulation of the fans, but seemed taken aback each time they showed their appreciation. Was the apparent surprise an act? If by act there is a suggestion of insincerity then no, it certainly was not an act. Did he question his popularity amongst the fans? No. The distinctive raising of the arms and the elongated pause to relish the moment, was almost certainly a sign of a genuine appreciation of the fans? support. For Geoff Condliffe, the man we all knew as Count Bartelli, it wasn?t a case of seeking popularity, it was a yearning to know that he had the respect of the fans. The distinction may seem subtle and inconsequential to some, but to Count Bartelli it was not. On one occasion when he failed to appear as advertised because of a mistake by the promoter he made a special journey to the next wrestling show at the hall to apologise to fans for his non appearance. The short neck, resulting from a career threatening injury in 1956, and slightly hunched movement were two of the hallmarks of Count Bartelli. The other hallmarks were all the ones that we would naturally associate with one of the finest and most successful post war heavyweights. Having turned professional in 1939 Geoff Condliffe donned a mask and became known as Count Bartelli. Even as a masked man Bartelli was a crowd favourite. He stayed within the rules, but could be ruthless. Many is the opponent who has fallen foul of a Bartelli?s habit of aborting a posting at the last moment to dislocate his shoulder. 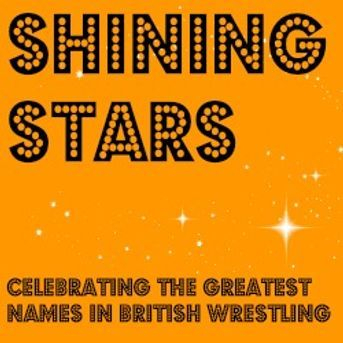 Over twenty years he remained practically undefeated and became one of the biggest names in British wrestling, despite never appearing on television. Following a 1966 defeat and unmasking by Kendo Nagasaki Count Bartelli?s career went into an almost equally successful second phase. He became a television regular and Commonwealth Heavyweight Champion. It was around 1970 the visit to the home of Count Bartelli on which this piece is based took place; yet the memories remain vivid. Here you will read impressions and memories, recalled as accurately as possible, aided only by a few untidy notes scribbled by an eighteen year old. The overwhelming memories are not of a wrestler, but of a genuine, caring man, never short of time and advice for those in need. He was the knowledgeable uncle but without that ?God, here we go again,? feeling that most of us experienced when listening to our own knowledgeable uncles giving us the benefit of their experience. No, not at all. Here was a man who had known, and overcome, hardship. Someone who had used his natural talent to find success in the worlds of sport and business. It seemed, therefore, quite natural to listen to him without feeling inadequate. We met at Crewe railway station. The journey to Bartelli?s bungalow included a tour of places of significance that he was clearly keen to share; the neighbourhood of his childhood home, primary school, a visit to one of his business ventures, and a stop at the greengrocers to pick up vegetables for lunch. Pulling into the drive of the wrestler?s bungalow first impressions were of a grand place. Well, grand to someone from a Lancashire terrace; in retrospect it was probably very modest by today?s standards and typical of a 1960?s rural bungalow. The amount of land did seem impressive, and still does, with Bartelli saying he?d bought goats simply to keep the grass under control. It was as we stood watching the goats that the wise uncle began to show himself. One of the goats poked through the fence to nibble the cultivated lawn, ?The other man?s grass?? began Bartelli, sharing his views that people were much like the goats, dissatisfied and wanting something out of their reach. Remember, these were the days of confrontational unions and 25% inflation, but there no suggestion of any political references just the sort of despair that many feel as they reach middle age. Although the focus of the day was wrestling, and specifically his career, Count Bartelli?s interest in people and their welfare shone through and resulted in frequent references, and advice on the way our lives should be conducted. Avoid smoking, avoid alcohol, quickly revised to the avoidance of excessive alcohol when he remembered he was talking to an eighteen year old student. Care for the less fortunate, look after ageing parents; he was a man who could empathise with those facing difficulties and find something to respect in most people, but had little time for those unwilling to help themselves. A small gym containing weights and various exercise machines included what was said to be a geared cycling machine with variable resistance, probably just what the rest of us would call gears. The wrestler was pleased that all the equipment meant that he could exercise without the need for roadwork, which he clearly disliked. This was surprising as Bartelli did enjoy the outdoors, and regularly cycled the lanes around his home. As we stood watching the goats we looked across the rolling Cheshire countryside and he recalled his childhood days, living in a terraced house in the centre of Crewe and longing to get out and enjoy the countryside. He found his escape from the town by taking up cycling, which was his first love. Many of his teenage years were devoted to cycling and Geoff became a member of the Crewe Wheelers Cycling Club. Bartelli linked much of his success as a wrestler with those years cycling around the lanes of Cheshire. Not only did cycling enable him to develop his fitness and strength it also taught him the need for discipline and the yearning to find success. Cycle trainin g also introduced him to wrestlers at the gym he attended to strengthen his legs. Bartelli, in those days simply Geoff of course, would practice holds with them, unintentionally picking up the skills of a wrestler. With the second world war looming money was always short, and following his sense of adventure Geoff eventually allowed himself to be persuaded to have a go in the professional ring. He recalled the shock that awaited him in that first professional bout, against Chorley?s Johnny Summers. Bartelli readily admitted he had been a self confident teenager who thought could do anything, certainly beat an old pro like Summers. He quickly found that he had a great deal to learn. Once more the memories were interrupted by a lesson that we should never underestimate anyone in our lives as everyone has their own talents and skill, even though they might be well hidden. Geoff Condliffe never underestimated an opponent again. Back to wrestling and Bartelli went on to talk about those he admired most. Two names stood out. Billy Riley, who he described as the greatest wrestling brain of all time. He recalled his first meeting with Riley, describing him as an old man, and then disclosed how the old man had gone on to give him a beating. The second name was Jack Beaumont, a man who combined skill, tenacity and robustness ?Beaumont was a very hard man, and never let up.? A drawn bout with Beaumont was recalled with some satisfaction. Other wrestlers picked out were Bert Assiratti, ?He was built like a tank;? Billy Joyce, ?The only man I?d pay to watch wrestle;? and Indian Maruti Vadar, ?The hardest opponent in recent years.? The fifteen round draw with Vadar at Digbeth Civic Hall was a bout he remembered well, not just because he had to be at his best to hold on to his Commonwealth belt, but also because of the number of fans grumbling because the length of the contest meant missing the last bus home. When asked about Kendo Nagasaki, who had unmasked Bartelli five years earlier, he spoke with respect but was critical of Kendo?s seeming desire to intentionally hurt his opponents. No other wrestler, he said, would deliberately toss an opponent into the audience and deliberately aim for the chairs to cause damage. The first contest against Kendo Nagasaki was still uppermost in Bartelli?s mind. He recalled the mixed emotions of the night. There was the relief of removing for the first time a mask that he bitterly disliked wearing, and the disappointment of his twenty year long unbeaten career to an end. He talked of the ruthless way in which Nagasaki had tossed him from the ring; the sense of shock amongst the crowd. ?The fans actually began to plead with the officials, telling them to leave me alone and let me keep my mask on. It was unreal. All those years they?d wanted to see my face and now they wanted me to keep it hidden. But when you?ve promised to do something for twenty years you must stick to the agreement.? In the months that followed his defeat Bartelli travelled the country and ceremonially unmasked in each of the halls he had appeared. Most people thought that the defeat would signal the end of the road, but an unmasked Count Bartelli went on to carve a new career lasting another twenty years. During the remainder of the day we discussed many other subjects, mainly of little consequence; but Geoff Condliffe was a man who could easily discuss anything and everything with anybody. Having put the world to rights he dropped me at the railway station and drove off to his wrestling venue for that night, ?I like to work on Saturday night, have you seen what?s on the tele? ?